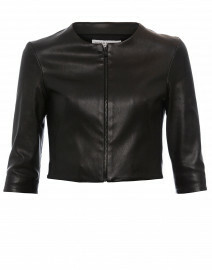 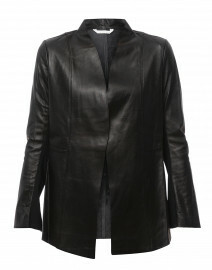 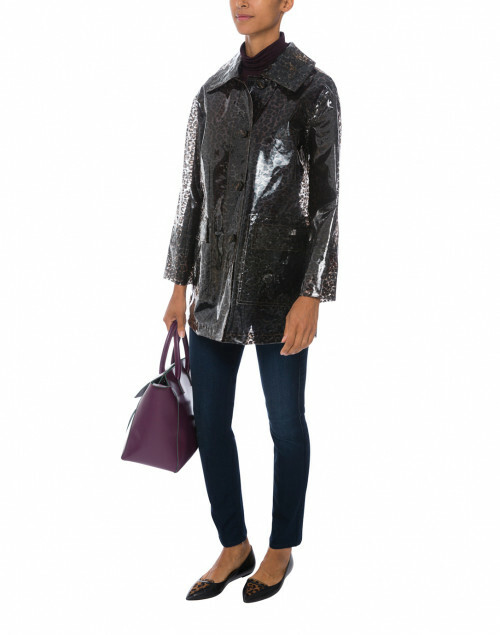 A statement piece in itself, Elliott Lauren's Clear Instinct jacket also lets other elements of your outfit shine. 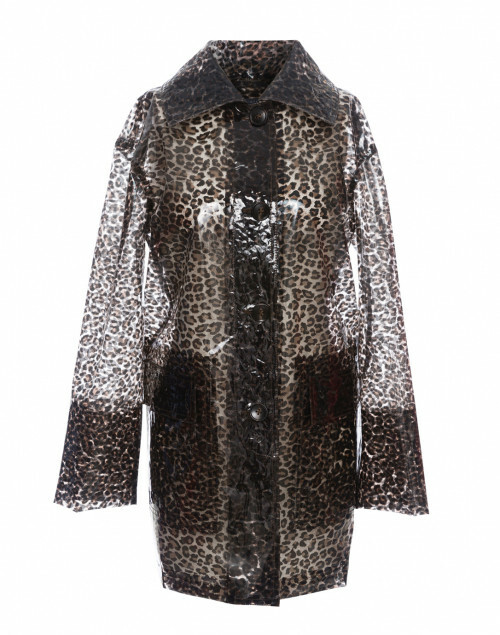 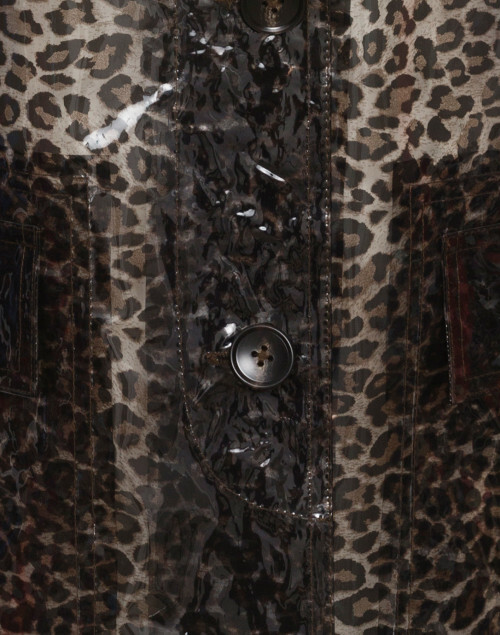 Crafted from transparent, leopard printed PVC, it has a slightly boxy shape with long sleeves, patch pockets and a button down front. 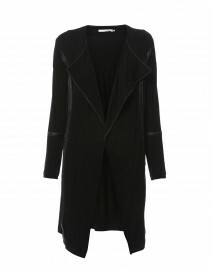 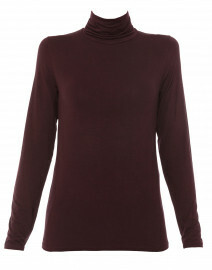 Style it over a turtleneck and slim jeans for a modern casual look. Length 28.5" 29" 30" 30" 31"
Shoulder Width 18" 18.75" 19.25" 19" 19.5"
Bust 39" 39" 43" 44" 47.5"
Waist 41" 41" 44" 46" 49.5"
Hip 44" 45" 47" 50" 52"
Sleeve Length 20.5" 20.25" 21" 20.75" 21.5"